It can be difficult to imagine when drums were made of simple materials without much variation. Large manufacturers and custom drum makers now spend hours creating new drums. The drum has evolved into a highly sophisticated instrument capable of being used for all types of contemporary and traditional music from around the world. The drum may be the world’s oldest instrument. The earliest drums were uncomplicated and used the simplest materials. They were mostly created for ritualistic, ceremonial and other purposes. Drums were created from animal skins which were stretched over a wooden or bronze shell. Early drums were probably hit with the hand or with simple sticks which were refined over time. Drums first appeared as far back as 6000 BC. The earliest drums date back to Neolithic cultures from China in the years 5500-2300 BC. At that time skins were made from alligators. Mesopotamian excavations also unearthed small cylindrical drums dated 3000 BC. American Indians and the indigenous people of Peru also used gourd and wooden constructed drums for their rituals, and religious ceremonies. The cymbal is mentioned in many biblical psalms and songs. They began to appear from 1100 BC and it is not clear where they originated. They were used by the Egyptians, Ancient Greeks and later by the Romans. The materials and basic design of cymbals have been in place for thousands of years . A bronze circular shape with a hole in the middle has been the basic cymbal for thousands of years. This design has been modified slightly for modern usage. 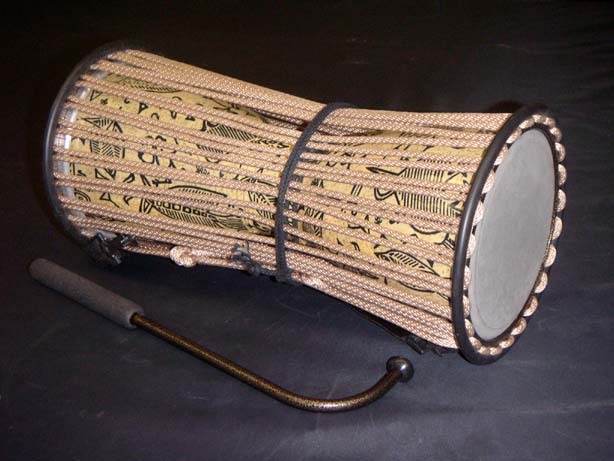 Drums evolved from ritualistic, ceremonial and religious purposes to military and communication usages, Slight modifications were made to drums for the purposes of more volume and being heard at a distance. 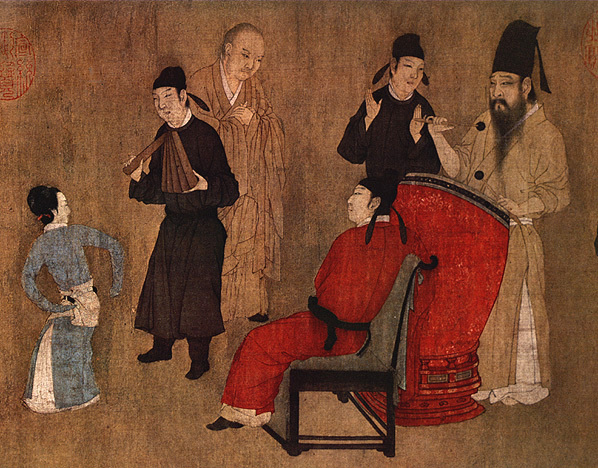 The first usage of drums and symbols for war can again be traced back to China. In the year 684 B.C drums were used to motivate troops and increase the morale of troops. Reference to drums is also made in one of the oldest scriptures in the world (Rig Veda). Arya tribes went to battle while listening to the beating of a war drum and chanting of hymns. The simplicity of the drumstick has also evolved from the use of simple wooden sticks to the modern drumstick with numerous lengths and weights to suit the player.Sticks became refined for more volume and to minimize skin repairs. Military drummers started experimenting with different types of wood from the 1300’s onward. Drums continued to evolve as their usage extended into other areas of social life such as military bands and eventually modern bands. Drums are now different sizes and come in many variations. Drums, cymbals, and drumsticks still use the same basic materials and designs from their earliest creation. Amazingly they still exist on modern drum kits and and continue to evolve slightly.